The fun and rewards of fishing can be noticed in the happy faces of newcomers and even old veterans and ultimately transform into pleasant memories and a lifelong string of interesting and humorous stories. Here is one example that has a surprise ending. Two brothers, ages 12 and 15, were always competing against each other in sports, especially bass fishing. It seemed like the older one would always outdo his younger brother, especially when they went bass fishing. There was a pond nearby that had one very large bass called Old Herman that his brother had caught and released numerous times. He envied his brother's luck and thought that it was probably due to his equipment rather than his talent. He was bound and determined to catch it, so one morning he got up early before his brother awoke. Then, in total stealth and silence, he snuck his brother's gear down to the pond and began to cast. After a dozen or more casts without any luck, he placed the fly precisely where his brother had caught Old Herman before. 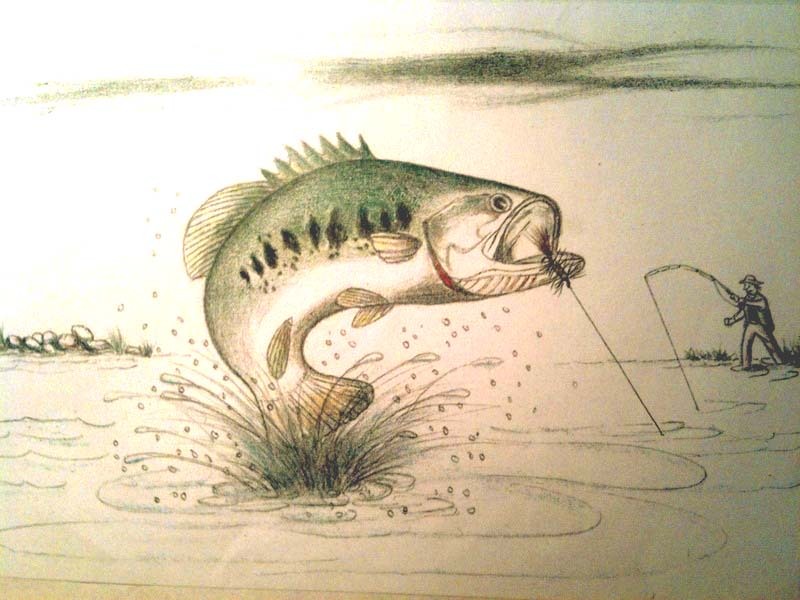 Suddenly, the big bass popped up just beside his fly and said with a sly grin, "Hey boy, where's your brother?"